Sometimes a short experience can be the best experience. You don’t always need a 100 hour sprawling action adventure across 20 worlds, with a cast of 1000 voice actors to find the perfect game. Recent experiences like Edith Finch and Three Fourths Home prove that the shorter games can be just as rewarding as the behemoth time killers that litter the market. One Eyed Kutkh – as well as being the hardest title to pronounce in the world of gaming – is a short experience running at only barely 45 minutes long. But is it the perfect length? Or is it like a tasty dessert that leaves you wanting more? One Eyed Kutkh is a set in a strange offbeat world, that reminds me of the children’s cartoons I watched in the late ‘70s and early ‘80s – a world where nothing makes sense, but everything seems free of any threat. You play – for some of this short experience at least – the One Eyed Kutkh itself who is travelling across space in its spacecraft. After a crash on a strange planet, you need to be able to repair your ship and find the perfects bits of machinery. You travel the planet meeting all sorts of unusual creatures and beings; you even meet the sun and the moon who have an argument over a metal sculpture. Confused? You will be and you know what… that’s alright because it tells a simple, weird, twisted tale very well indeed. And that tale is basically a point and click adventure game. You don’t move the character around with the sticks or d-pad, but a number of visual symbols will appear above the character or object so that you can interact. For example, the direction you take will be shown as a symbol; click on it and off you go. The same goes for other interactions, picking things up and starting conversations. It’s a very simple and clever device, making this a game for all ages… small children especially will love this and not get bored by the length of the game. They won’t get stuck either because the puzzles are fairly simple and by just exhausting all your visual choices you will find a successful route through, before playing it again just to experience the world and the characters on offer. It is an untaxing, relaxing game where nothing is out to kill you and when you realise this it’s nice just to slip off your shoes and enjoy your short time in this imaginative world. From reading this you might fear that this isn’t the game for you, especially if you like your gaming fast and frantic. It’s a journey and experience though, rather than a test of dexterity and mad skills. 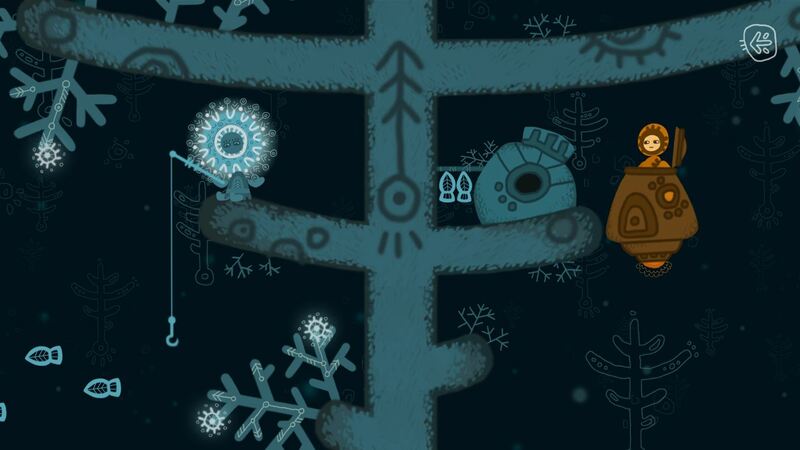 The visuals found in One Eyed Kutkh are delightful and, like I said previously, remind me of a cartoon from long ago. The world the developers have made has a brilliant use of colour, mind-bending physics and delightful little stories hidden in the background. The character creations are excellent with our main one eyed alien chap looking like something every little child would want as a cuddly toy. The other characters and magical creatures are beautifully drawn and created too, and this is certainly a world I would happily spend a lot more time in. The sounds are also very meditative and calming, bringing a delightful soundscape that works tremendously well within the pace and nature of the game. The effects are minimal, but when they come, they work brilliantly well. There is no voice-over, but instead you get treated to some delightful pieces of noise coming from the inhabitants. It’s a nice piece of work on the audio front. I loved my short time with this delightful little game. Yes, it’s a swift experience, but sometimes the shorter packages are the best ones. The gameplay is great, but I can fully understand that this won’t be for everyone, and I think you can continue that sentiment for the game as a whole. 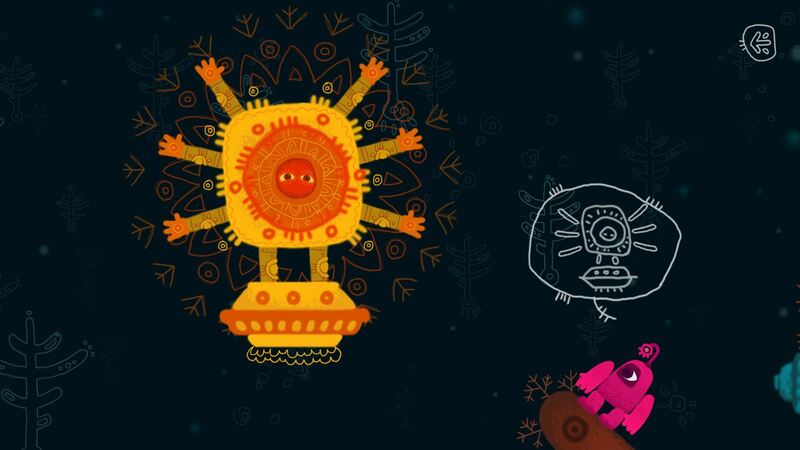 But I believe that there should always be room in the market for games like this – ones that experiment with game design – and I applaud those developers who give this a go. One Eyed Kutkh comes in at just under £4 quid as well, which is pretty much the price of a bag of crisps in London, so it’s worth a punt. 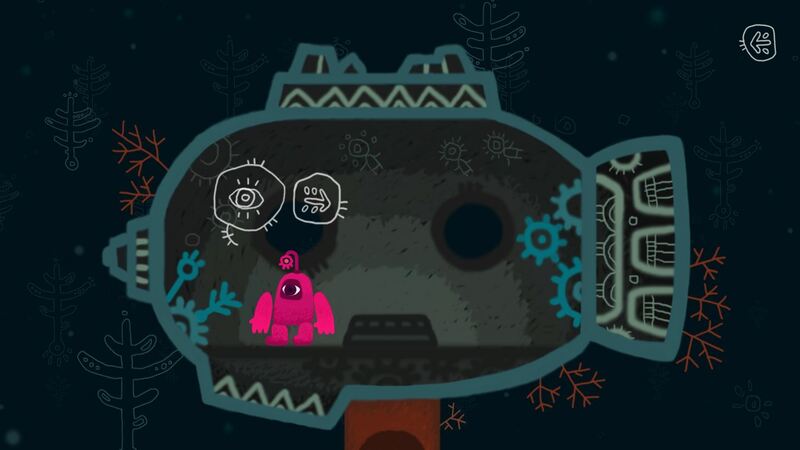 If you have small kids or refuse to grow up, then I think you’re going to love this little game with the cuddly one eyed space monster.